The big picture: Avenatti tweeted just before the charges were announced, saying he would hold a press conference Tuesday "to disclose a major high school/college basketball scandal perpetrated by @Nike that we have uncovered." He was arraigned in New York on Monday evening and released on a $300,000 bond. He will be arraigned in his second case in Los Angeles on April 1. 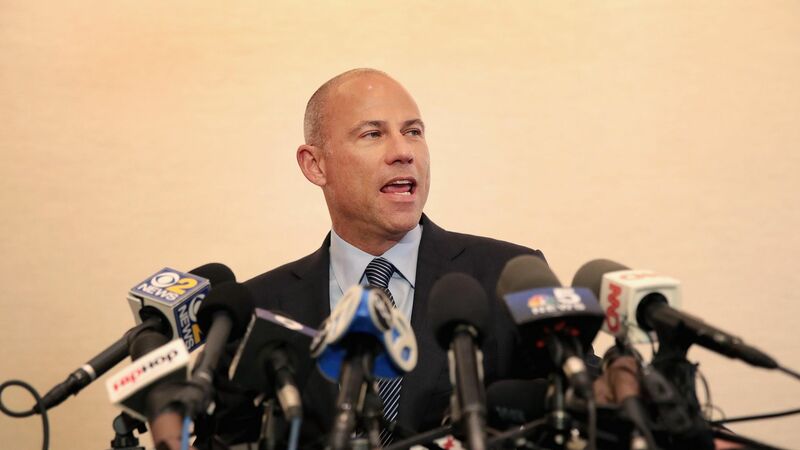 The Wall Street Journal is reporting that Avenatti's alleged co-conspirator in the extortion scheme is celebrity attorney and CNN legal analyst Mark Geragos, who has represented Michael Jackson, Chris Brown, Jussie Smollett and other high profile figures. What they're saying: Avenatti said outside court he was "highly confident" he would be fully exonerated and justice would be done. "Knowing what I know now about Michael Avenatti, I am saddened but not shocked by news reports that he has been criminally charged today. I made the decision more than a month ago to terminate Michael's services after discovering that he had dealt with me extremely dishonestly and there will be more announcements to come. I ask that the media respect my decision to withhold further public comment regarding Mr. Avenatti at this time."